Welcome to Rosie, Scruffy, Bonesy and Cookie's new web page. We have some pictures and some other fun stuff for you to see and do. This month is Rosie's 7th birth day. He was born just 2 days after Emily. If you see him, be sure to say "Happy Birthday!" 3/16/08 Just created the guys' new web page. Check back now and then to see what's new. Look down below and check out Rosito's first video message. We have added a puzzles page to the guys' site. Click on the link at the top of the page to do a cool word search and a neat jigsaw puzzle. The jigsaw puzzle is fun but it times you!! 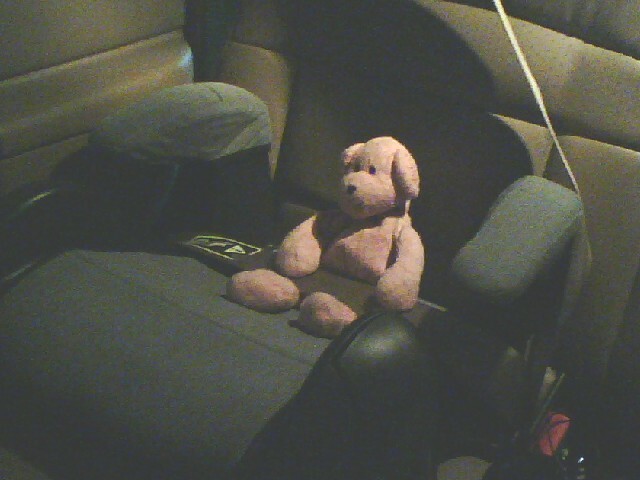 Rosie says: ALWAYS BUCKLE UP! !